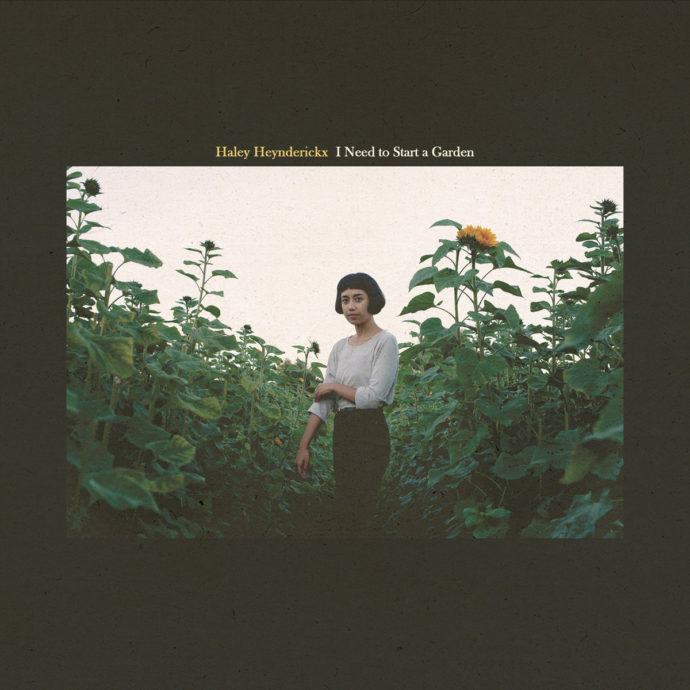 I Need to Start a Garden, the debut album from Filipino-American songstress Haley Heynderickx, is one to behold. Under a gentle facade of beautifully composed folk-rock, Heynderickx combines deeply introspective lyrics interspersed with splashes of wry humour to reflect upon moments of her past and present. Dextrous and intricate fingerpicking intertwine gracefully with Heynderickx’s voice, often accompanied with a variety of instrumentation – from rumbling trombone lines in “The Bug Collector” to a full band crescendo in “Worth It”. Heynderickx has a voice that aches with soulful passion akin to Adrianne Lenker (Big Thief) and, when pertinent, shudders with a power and flexibility reminiscent of Mitski and Florence Welch. She dives into her bouts of uncertainty, self-doubt and loneliness with little restraint, exemplified in the album’s opener, “No Face”. “Tell me what’s wrong here, is it the bridge of my nose, or the backs of my skin?” she moans. These heavy, reflective tracks are punctuated with well-timed levity, with songs like “The Bug Collector” and “Oom Sha La La” lightening the mood. In the latter, Heynderickx tightens her grip on her lethargy and inactiveness and eventually howls to herself the eponymous title of the album, “I need to start a garden!” It’s a prickly reminder for us to take action when life suddenly seems too overbearing. Like the titular garden she speaks of, the short 8-song LP is carefully pruned and structured, allowing each track to bear its own distinctive fruit. There’s a diverse range of emotions to experience from this record – from numb melancholy to the warm promise of hope. All of them firmly cement Haley Heynderickx’s aptitude as a brilliant songwriter and artist.